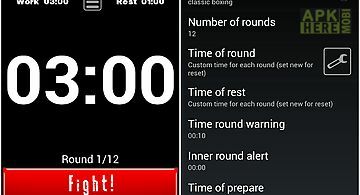 Tabata timer interval timer app for android description: Tabata timer interval timer is a free interval workout timer app for high intensity interval training (hiit). 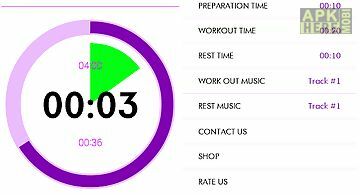 It is more than a stopwatch or countdown e this circuit timer for training in the gym with weights kettlebells bodyweight exercises crossfit trx spinning calisthenics jumping jacks tabata boot camp circuit workout training or any other high intensity intervals training. 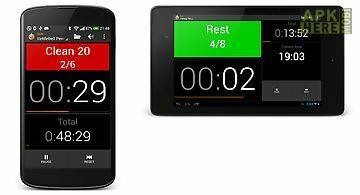 This intervals timer will be useful for sprints push ups sit ups cycling running weightlifting martial arts and other fitness activities. 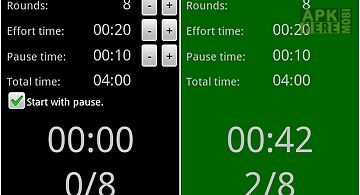 Whether it s for your hiit workouts circuit training in the gym or at home bodyweight training workouts this exercise timer is for you. 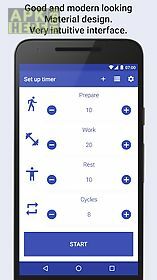 Are you looking for a good circuit timer in material design? If so you 39 re in the right place! 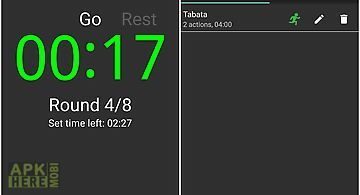 This tabata timer offers: good and modern looking material design theme following google 39 s guidelines. 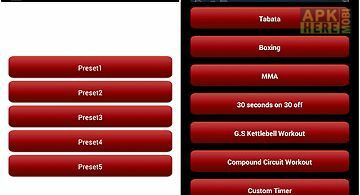 After installing this interval timer you need to press one button to start a tabata with classic settings. 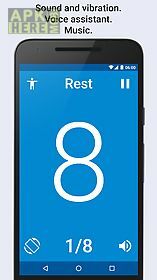 Ability to set up prepare time work time rest time cycles count tabatas count rest between tabatas time cool down time. 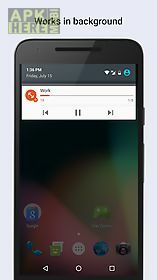 Works in background and shows the current progress in a notification when your screen is locked or you are using another app (music player workouts app etc). 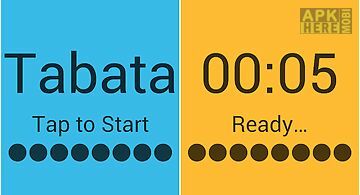 You can set up sounds for each interval type for last seconds time left for work interval halfway every second. 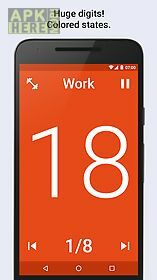 Ability to enter and display time in seconds or minutes. 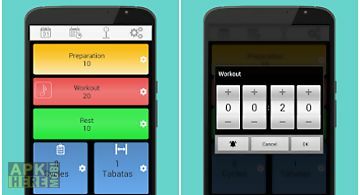 Previous and next buttons to jump back and forward within your tabata. 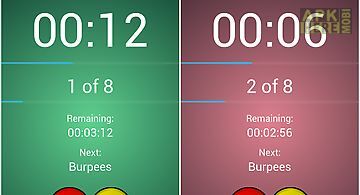 Customizable colored states (prepare work rest rest between tabatas cool down finish). 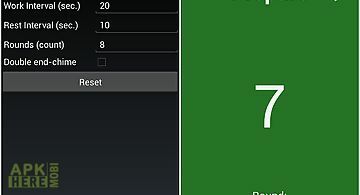 Ability to change device s orientation or to lock it. 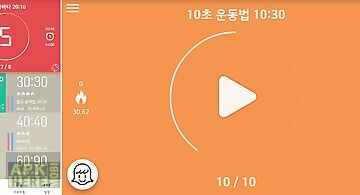 List of your saved tabatas.